Prominent & Leading Manufacturer from Pune, we offer lt to 33 kv cable fault locator st-32 (surge generator), lt & 11 kv cable fault locator st-16 ( surge generator), lt cable fault locator ( surge generator), surge generator, cable fault distance locator and l t power cable fault locator. 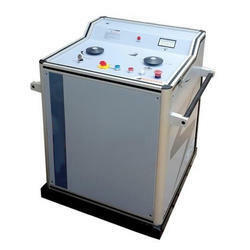 We manufacture variety of High Voltage Surge Testers. High Voltage Testing Upto 16 KV DC. 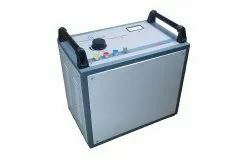 We manufacture variety of HT Power Cable Fault Locator, suitable to locate faults in HV cables upto 33 kV class, fabricated from excellent quality material for ensuring durable performance. These High Voltage Surge Testers are used extensively for tracing the exact location of faults in underground HT cables along with Surge Receiver (Duophone). Latest technology is used for manufacturing High Voltage Surge testers for ensuring accurate pin-pointing of cable faults within the shortest time frame. We take a huge pleasure in the market by offering best and most perfect quality assortments of Cable Fault Locator. These cable locators are produced by our experts with the use of best quality basic materials and cutting edge technology. These machines are metal finished and very easy in operations. Various models available for locating faults in underground LT / HT power cables. Portable, mounted on castors, easy to carry and use on the field. Manual and auto operation of impulse discharge. Current coupler to facilitate preallocation. To locate faults in underground power cables. 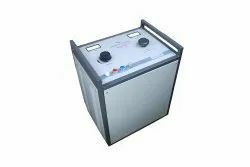 We are the leading supplier of Surge Generator made from high quality material at competitive prices. Cable Fault Distance Locator is a portable instrument working on TDR and IMPULSE CURRENT methods, adopting advanced micro-electronics technology. It is designed to pre-locate fault points in UNDERGROUND LT and HT cables. Adopts international advanced electronic testing technologies and ICM technology. Is suitable for the precise range finding of power cable high resistance, flashover, disconnection, and low resistance faults. English menu, easy to master and use. TDR and Impulse current mode. It can preserve 20 testing waveforms permanently,no loss after the shutdown,is a replacement of printer. Small size, light weight, and portable design. We are the leading supplier of L T Power Cable Fault Locator made from high quality material at competitive prices. The Low Voltage Surge Testers available with us are manufactured using latest technology and premium quality components that ensures excellent performance. 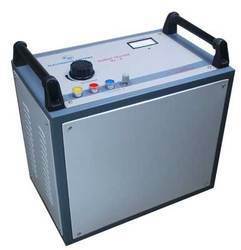 Low Voltage Surge Tester is an excellent instrument for tracing the fault locations in underground LT power cables. Customers can avail long performing and portable Low Voltage Surge Tester from us at affordable market price. 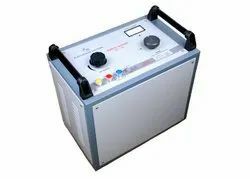 Working of Low Voltage Surge Tester : Low Voltage Surge Tester is equipped with energy impulse storage capacitors that can be charged and discharged automatically into the faulty cable. The stored energy from energy capacitors discharges into the exact point of fault in cable that creates strong vibrations underground. Sensitive Seismic microphone picks up these vibrations with the help of Duophone receiver for locating the exact point of fault. Looking for Cable Fault Locator ?